Mumbai, 29 November 2016: Bajaj V, the bike that contains the metal of INS Vikrant, today launched a new initiative titled ‘Invincible Indians: Stories that Invoke Pride Everyday’. This is an initiative to uncover stories of ordinary Indians who by dint of their resolve and determination perform extraordinary acts in the service of society. These are acts that happen all around us, yet go unnoticed. Acts that are so powerful and selfless that every Indian’s heart will swell up with pride. The initiative also calls upon the public to identify and recommend other such Invincible Indians. Five such ‘Invincible Indians’ were felicitated by a famous son of India who has himself made the nation proud - Abhinav Bindra, India’s first individual Olympic Gold Medalist in the presence Rajiv Bajaj, Managing Director of Bajaj Auto. 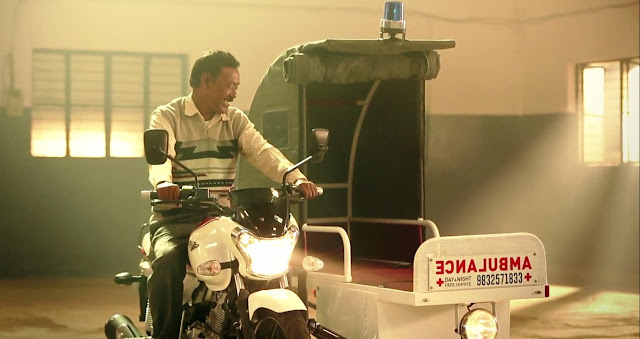 Bajaj V also released five videos that capture the inspiring stories of these invincible people. These five awardees through their selfless acts have brought about transformational change. Their complete video stories can be viewed on the Bajaj V youtube channel (click here). Bajaj V has also launched a website www.bajajauto.com/invincibleindians to present many more such stories of ‘Invincible Indians’ to the country. Through this website & the five videos released today, Bajaj Auto invites citizens of this country to help spread these stories and also help find more such people whose efforts deserve to be recognized. Respect to all these great persons. Jai Hind !